Run a powerful video site built in Python on your own infrastructure. For a public Github repository, visit our Github page. 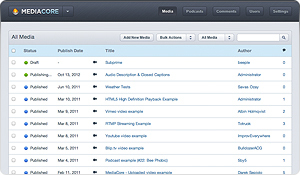 MediaDrop provides unparalleled organization, statistics, accessibility, and scalability. Well-designed and well-engineered it is the ideal solution for any organization with large collections of video or audio. 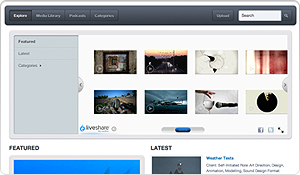 Browse video or audio added to the CMS from any device, such as an Android, iPhone, iPad, or any desktop browser. Easily manage your media library through a beautiful administrative interface. Start adding and uploading media in one click. 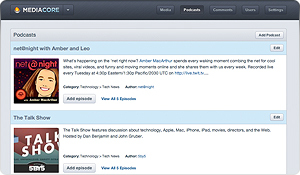 Allow your users to upload content directly to your site. An admin review system is baked in, making moderation simple and easy. Add video from YouTube, Vimeo, Blip.tv, Amazon S3, or any server. Encode video via our handy automated encoding plugin. Track comments, views, and likes on published video and audio. The CMS automatically ranks the most popular items. 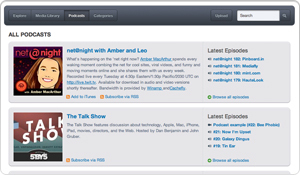 Users can comment, embed, or share video and audio with their friends through the Twitter and Facebook sharing features. 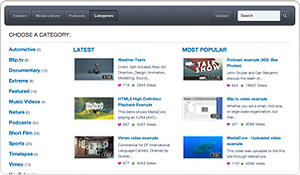 MediaDrop is built on a combination of open source technologies that are enterprise class. The flexible player architecture is compatible with most video players and we've bundled the leading players by default. This is a quick walkthrough of how to get MediaDrop up and running. For a full overview, please visit the docs installation page. Create and activate a new virtualenv. Clone the MediaDrop git repository. Install MediaDrop and it's dependencies. You can help us build the world's best video platform by getting involved with MediaDrop. You don't have to be a Python Guru (or even know what that means!) and you don't need to spend lots of time. Feel free to ask in our community forums about how you can get involved. You can help us translate MediaDrop into any language. Currently there are 38 active translations, but more are needed to make MediaDrop available to as many audiences as possible. We've created a account on Transifex to keep track of translations, and anyone can add or edit a language through the Transifex website. Questions regarding translations should be posted to our community forums. Generally we request that you create an issue in our issue tracker for any patch you'd like to submit. It helps us stay organized in the long run. Our Git repository is hosted over at Github and one of their handy features is forking. This perfect for submitting large features, or anything with two or more people working on it. For more information on submitting patches and using GitHub please refer to our patch guidelines. Several MediaDrop contributors are generally available for contracting work on MediaDrop. 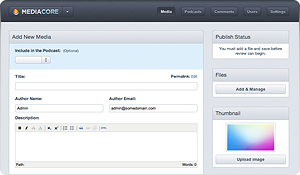 This work can include plugins and development of specific features for MediaDrop. Does MediaDrop work on Windows? MediaDrop will display on Windows for users visiting a site that has MediaDrop running on it, but you cannot install MediaDrop to a server running on Windows. Can MediaDrop be installed on any server? GCC must be installed and available on your $PATH for certain required Python packages (mysql-python, PIL) to install properly. libjpeg and zlib are also required for certain required Python packages (PIL) to install properly. Can I customize the look and layout of MediaDrop? You can change the appearance of MediaDrop through the administration panel, or for more advanced changes by altering the Genshi templates. Editing the templates does require familiarity with Python. Python is an immensely more elegant language that offers substantial libraries that we needed specifically for our project. The bottom line is that code is faster, more readable, and more maintainable in Python than in PHP. What license does MediaDrop use? MediaDrop is released under the GPLv3 license. If am a developer where do I go to contribute? You can visit our Contribute Page, or post the fix to our Github page. Where can I go to get support?